Education: Poellnitz holds a Juris Doctorate from the University of Alabama School of Law and a Masters in Taxation Law (L.L.M.) from Boston University. 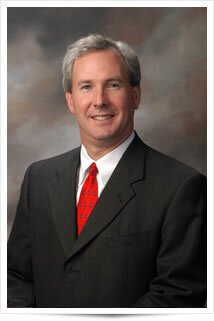 Bar Admission: Poellnitz was admitted to practice law in Alabama in 1984. Professional Memberships: He is a member of the Tuscaloosa County Bar Association, the Alabama State Bar Association, the American Bar Association, and the Tuscaloosa Estate Planning Council (Past President). Community Involvement: A native of Tuscaloosa, Alabama, Mr. Poellnitz is a member of Phi Delta Phi. He served as Associate Editor of the American Journal of Tax Policy, 1982-1983. He is also a Past Division Chairman and serves on the Board of Directors for the West Alabama Chamber of Commerce. He is Past President of the Tuscaloosa Estate Planning Council. He also serves as Legal Counsel for the Tuscaloosa City Schools Education Foundation, Inc.; Leadership Tuscaloosa.